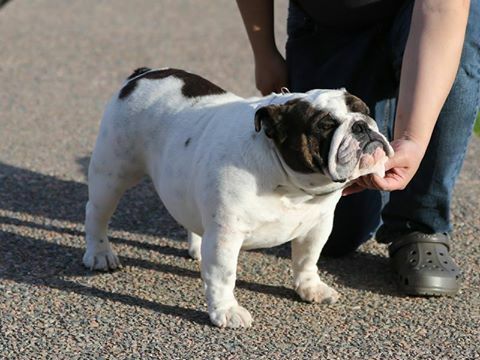 Nous sommes vraiment tristes se vous annoncer que nous avons perdu notre belle Jasmine le 17 Mars dernier , elle était gestante de sa dernière portée (10 petits chiots). 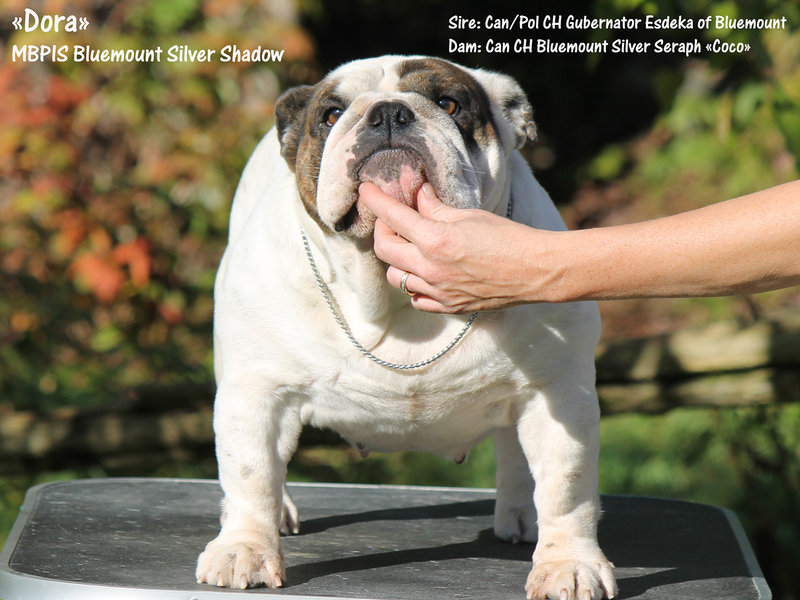 Dam: Grand daughter of CH Glendar Patriot and CH Cherokee Legend Pretty Boy. 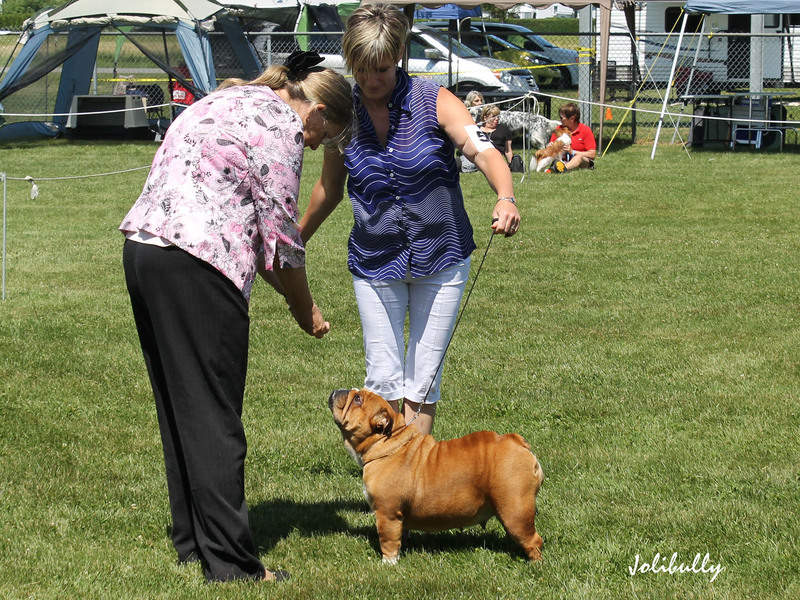 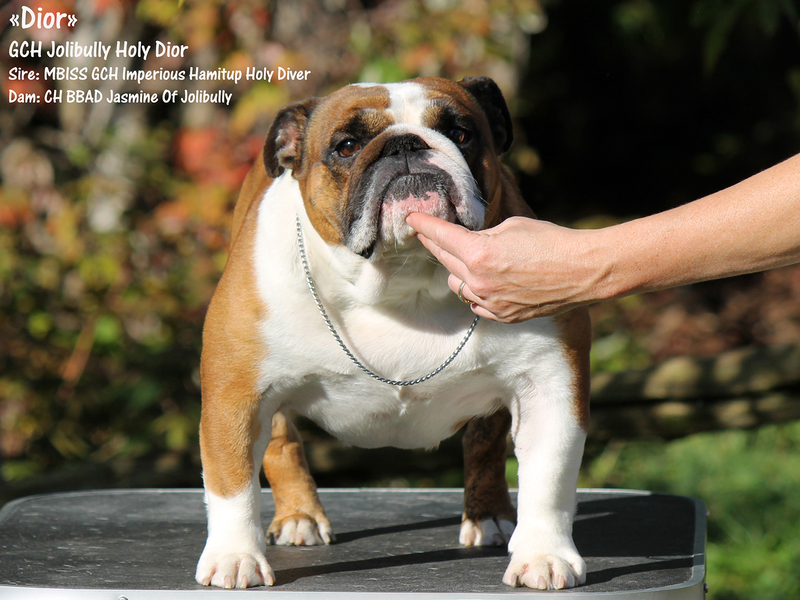 Dam: CH BBAD Jasmine Of Jolibully. 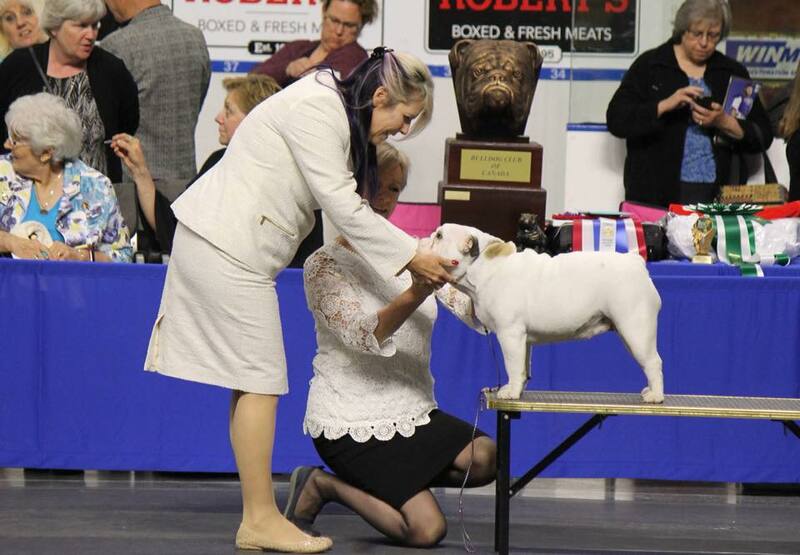 Dam: MPIG CH BBAD Jasmine Of Jolibully. 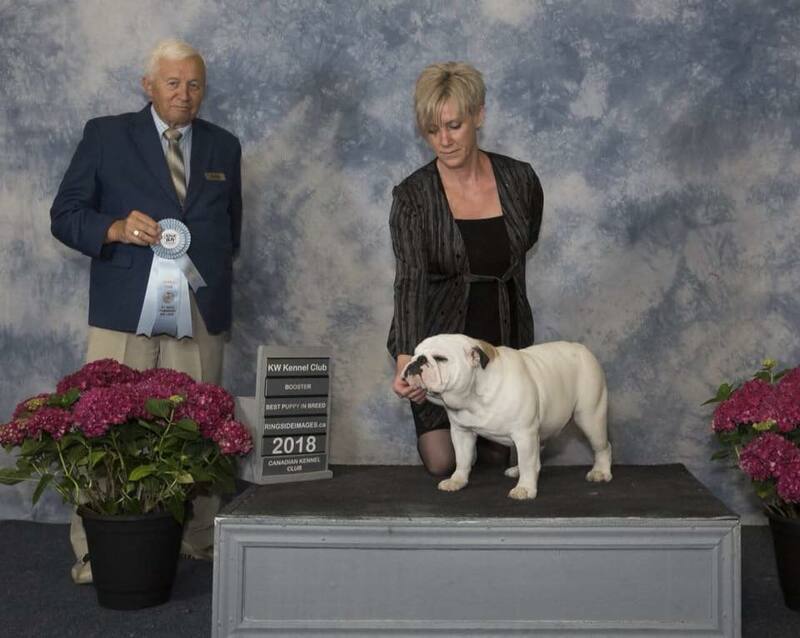 Owner: Melinda Minnis, Windermere Bulldogs, FL. 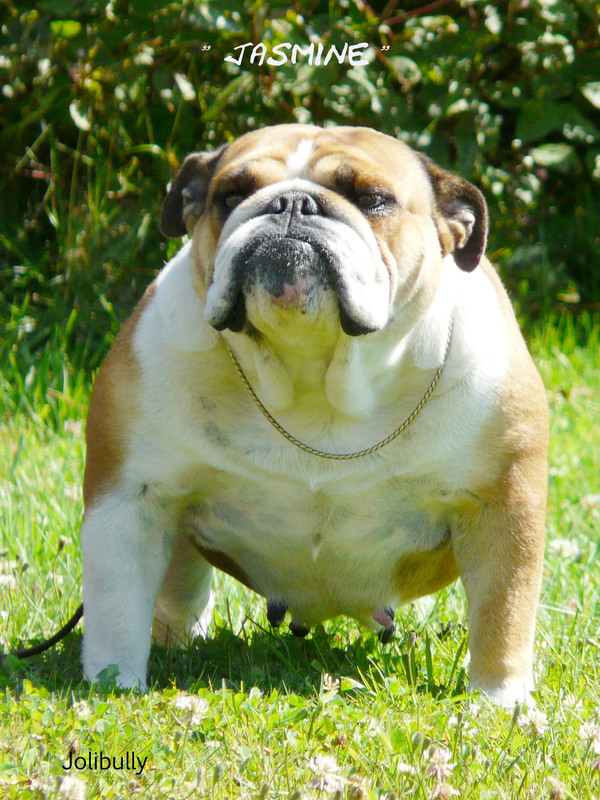 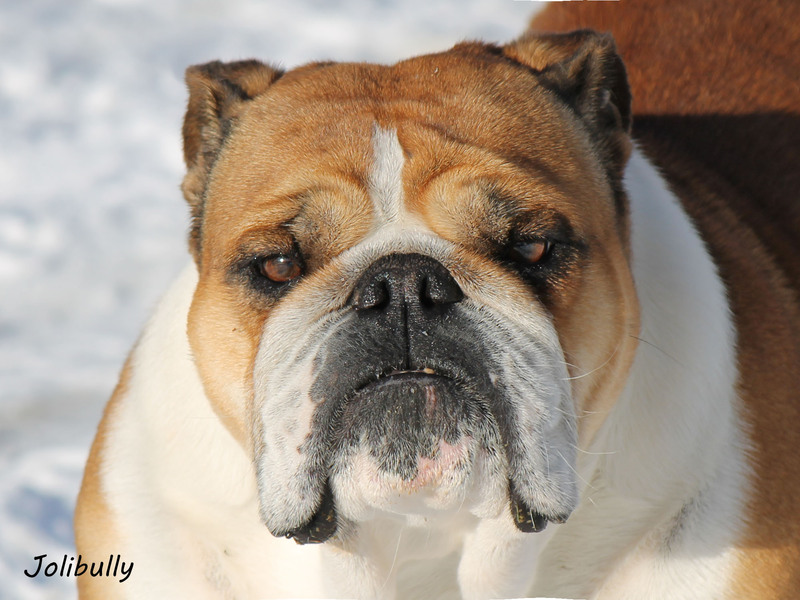 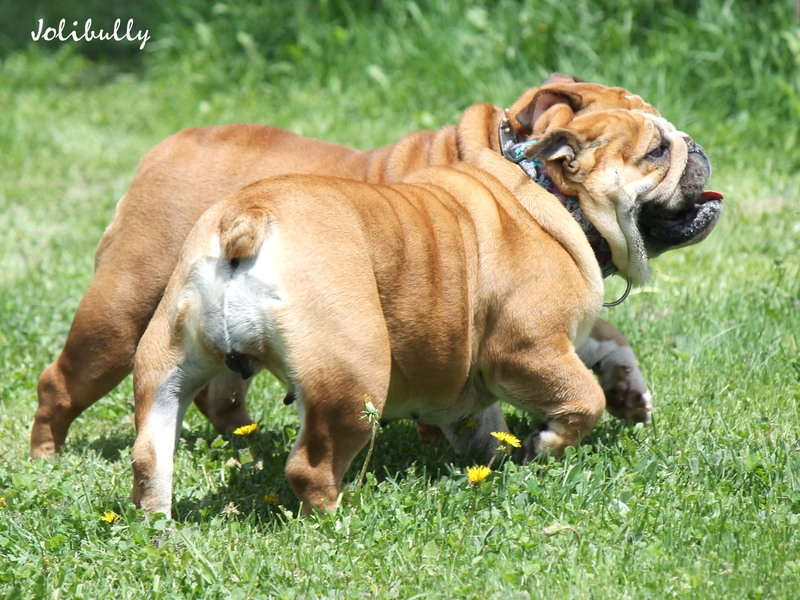 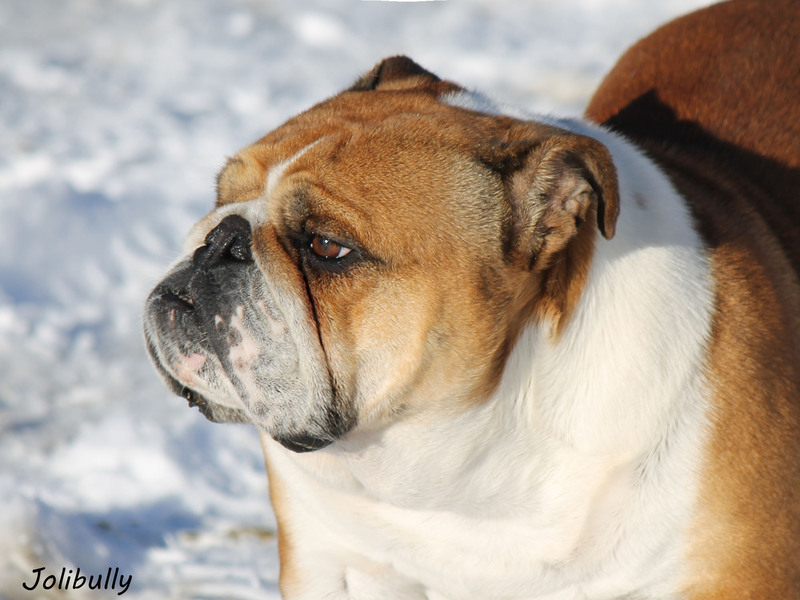 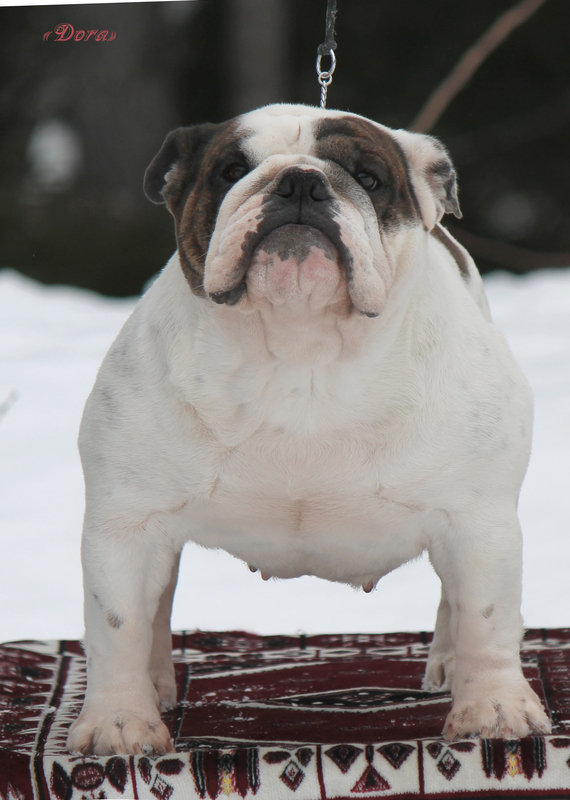 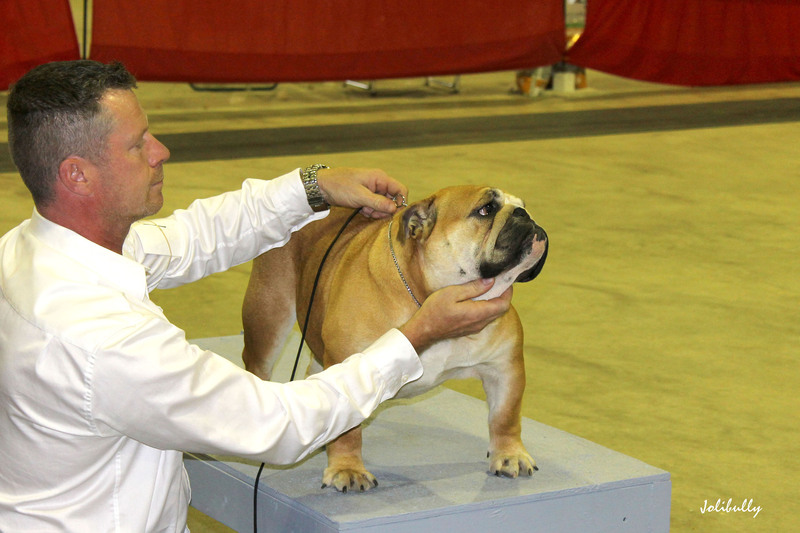 Breeder/Handler: Marie-Eve Jolin, Jolibully Bulldogs. 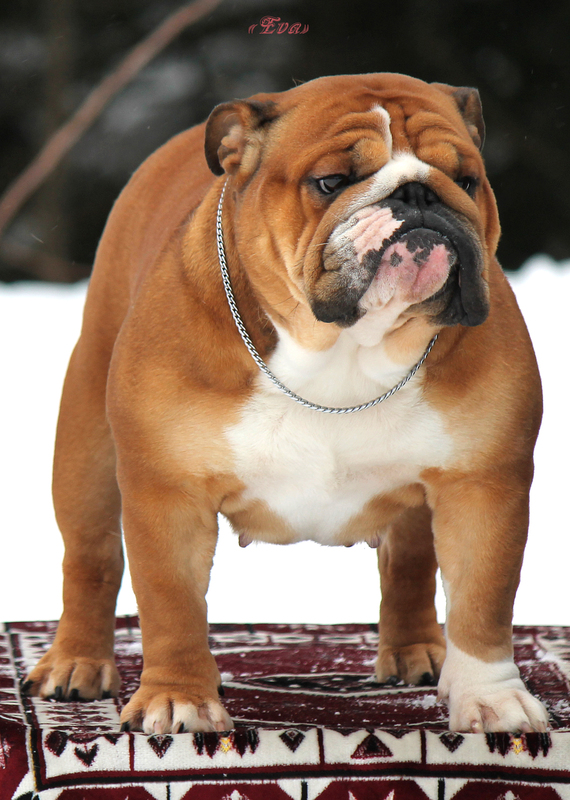 Born December 20th , 2014. 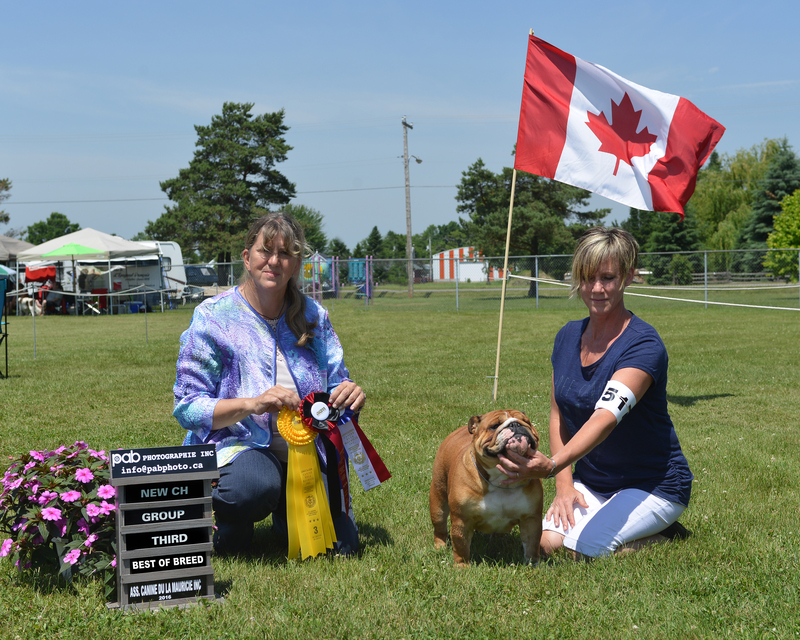 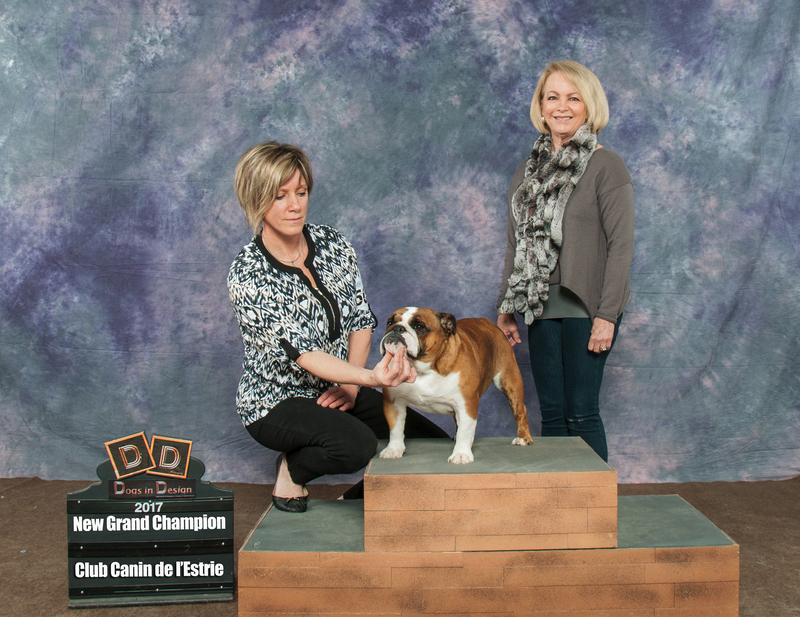 Sire: Sumo Drake QBECBulldogs (pointed, producer of Champion and Grand Champion) Owned by Sabrina Labrie. 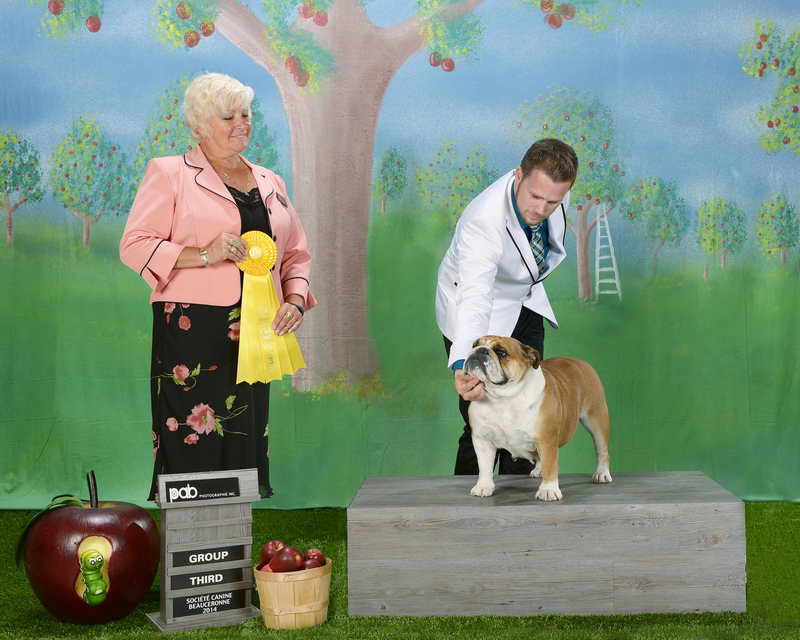 More test results to come. 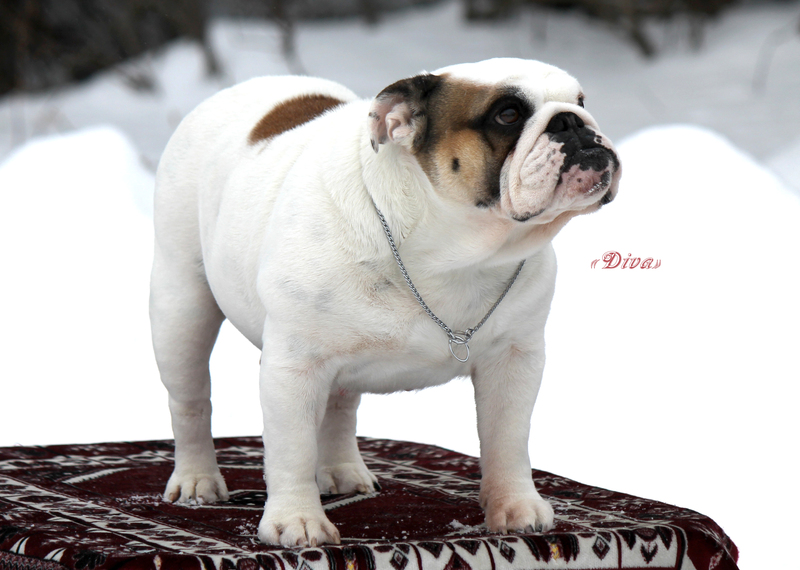 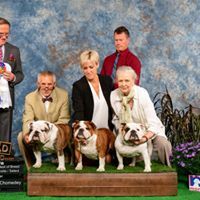 “Aleesia” is the full sister of our BBPIS MBPIG CH Eva Drakes Legacy of Jolibully, and GCH Drakes Legacy Of Jolibully that was sold to Rakaroo Bulldogs in AB. 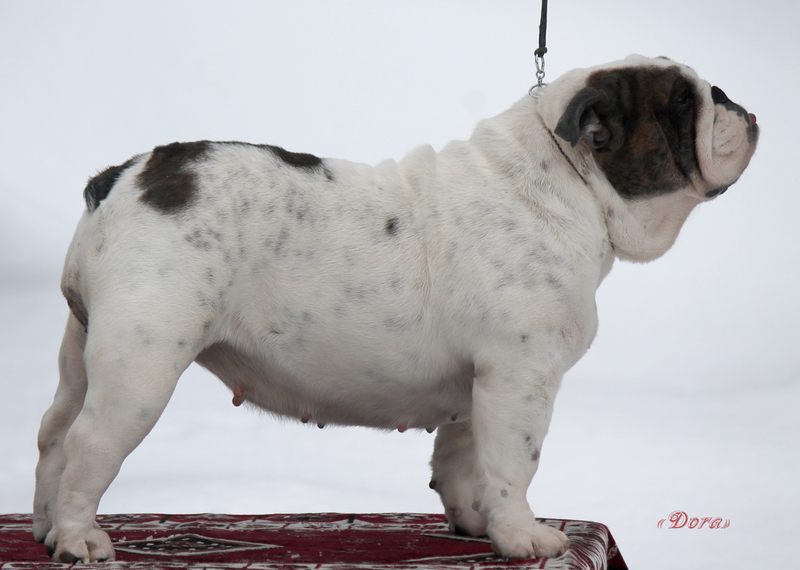 DAM: daughter of cherokee legend pretty boy .